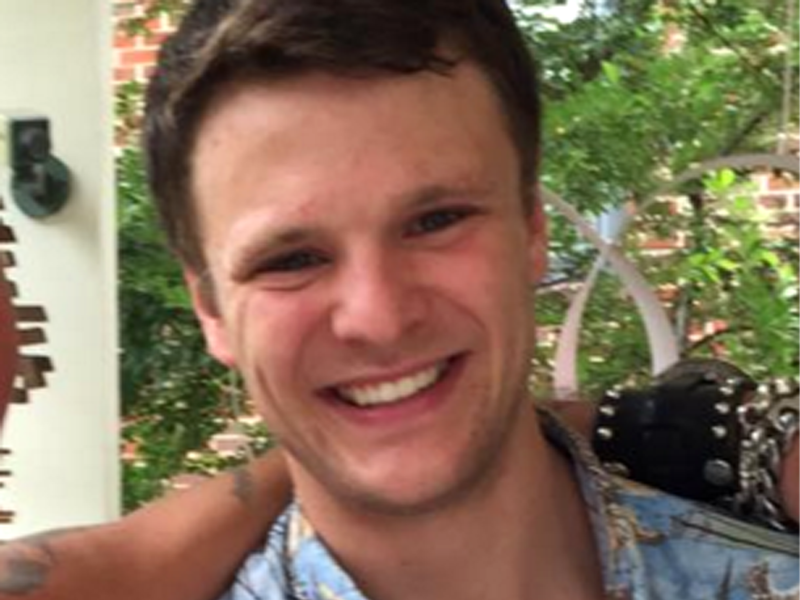 WASHINGTON -- The parents of U.S. college student Otto Warmbier have filed a wrongful death lawsuit against North Korea, saying its government tortured and killed their son. Fred and Cindy Warmbier filed the lawsuit Thursday in the U.S. District Court in Washington, D.C., saying the country would be held accountable for its "barbaric treatment of Otto and our family." The 22-page lawsuit seeks compensation for the death of Otto Warmbier, who was arrested by North Korean authorities in January 2016 for stealing a propaganda poster and sentenced to 15 years in prison. He died in June 2017, days after he was repatriated to the U.S. with severe brain damage. Fred Warmbier said in a statement that his son "was taken hostage, kept as a prisoner for political purposes, used as a pawn and singled out for exceptionally harsh and brutal treatment by Kim Jong Un." Warmbier continued: "Kim and his regime have portrayed themselves as innocent, while they intentionally destroyed our son's life. This lawsuit is another step in holding North Korea accountable for its barbaric treatment of Otto and our family." The suit says that after his arrest, Warmbier was pressured to make a televised confession and then convicted of subversion after a one-hour trial. He was denied communication with his family by any means until early June 2017 when they were informed he was in a coma and had been in that condition for a year. College cuts ties with teacher who said Otto Warmbier got "what he deserved"
While the lawsuit may prove largely symbolic given the difficulty of recovering any damages the court might order, it comes at a delicate time in relations between Washington and Pyongyang. President Trump is planning an unprecedented summit with North Korean leader Kim Jong Un in the coming weeks to address the threat posed by its nuclear weapons, and the leaders of North and South Korea are due to meet Friday. The lawsuit contends that North Korea is liable for Warmbier's wrongful death -- describing it as "extrajudicial killing" -- and calls for a judgment for both "economic and non-economic compensatory damages" to his parents. North Korea previously denied allegations by Mr. Trump and the Warmbier family that the young college student was tortured in custody. In September 2017, state-run media quoted North Korea's foreign ministry spokesman as saying the claims of torture were baseless slander aimed at discrediting the North Korean regime. A coroner said her office could not determine what led to the brain damage that eventually killed the 22-year-old Ohio man after he returned to the U.S. on an emergency medical flight. Dr. Lakshmi Sammarco said that evidence had led to no "scientific facts" to solve Warmbier's mysterious death. "We don't know what happened to him, and this is the bottom line," she said. The cause of the death may never be known, she added. A coroner's report dated September 11, 2017, showed the cause of death for the University of Virginia student as complications from brain-damaging oxygen deprivation through "an unknown insult more than a year prior to death." The medical term for his condition was called "chronic anoxic/ischemic encephalopathy." The manner of death was listed as "undetermined." While Warmbier's family declined an autopsy, Sammarco said her office used extensive medical scanning and imaging for a "virtual autopsy" and that nothing more would have been gained by doing an autopsy so long after his brain damage occurred. North Korea claimed Warmbier fell into a coma that resulted from botulism and a sleeping pill. Thursday's news comes as the Trump administration works to finalize details of a possible meeting with Kim. Newly confirmed Secretary of State Mike Pompeo secretly met with Kim in April, laying some of the groundwork for a summit to take place. There is no indication that Pompeo, who was CIA director at the time of the meeting, will relinquish that role in the U.S.-North Korea talks, as maintaining that portfolio as secretary of state will be a "natural thing," according to a source close to Pompeo.